Meadows comprise about a third of the 400 acres of campus of Medford Leas and its sister campus, Lumberton Leas. 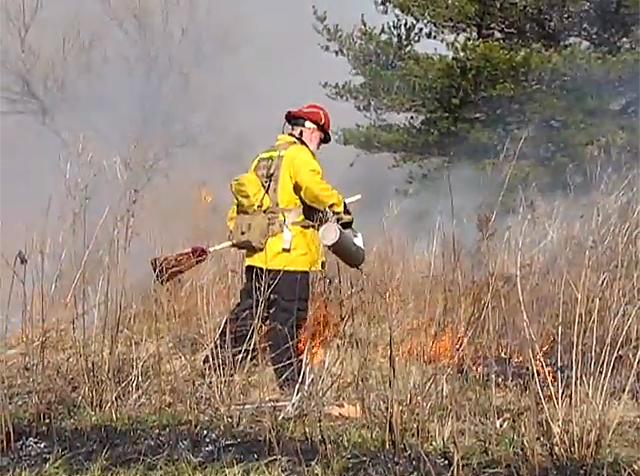 Last January a large section of the Medford Leas meadow underwent a controlled burn. Firemen stimulated the flames from gas- filled canisters, and then monitored the fires until they died away. 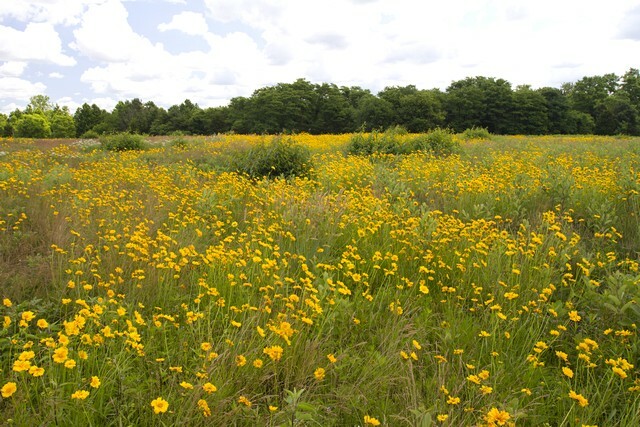 The idea of a controlled burn is try to kill off many invasive plants that have established themselves in the meadows, crowding out the native plants and grasses. From the looks of things this spring it was a good thing to do. 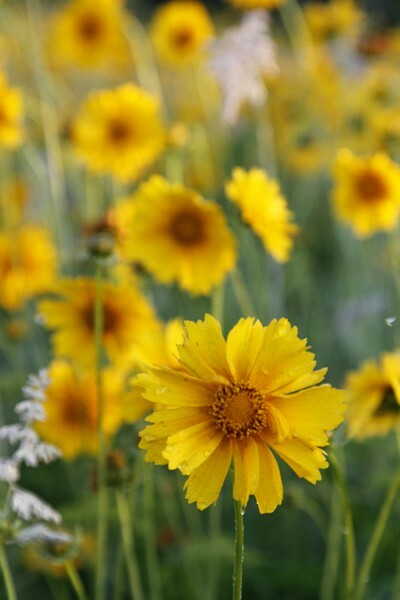 The dominant flower is the sun-flower related coreopsis, some twenty-five species of which are native to North America. It’s always been a favorite of mine but even with fields full of them here I had to buy a $16 one gallon plant at the nursery for the shore house. Oh well. I was out early one morning to take advantage of the warm, soft light, and found some remaining dew. Then, a couple of days later, although it was mid-day light I couldn’t resist the clouds. I wasn’t the only one enjoying the field; there were many taking advantage of the flowers’ treasures. 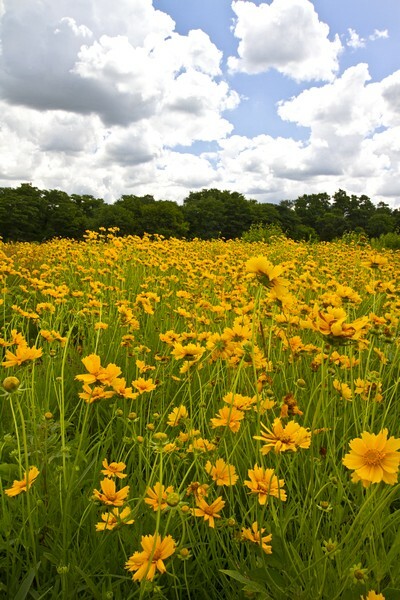 The swaths of coreopsis are by far the most spectacular feature right now but there are other species present. For a selection CLICK HERE. Beautiful photos, Ralph. Love the yellow colors. So serene! I aways enjoy your photos. Thanks Ralph. When I was little growing up in the pines I thought FIRE, call the dept but my father calmed me down and took me for a ride. He stopped one of the fire setters and we had a very informative talk. You caught what comes after nicely and love the clouds. Thanks, Mike. I always enjoy your thoughful comments.